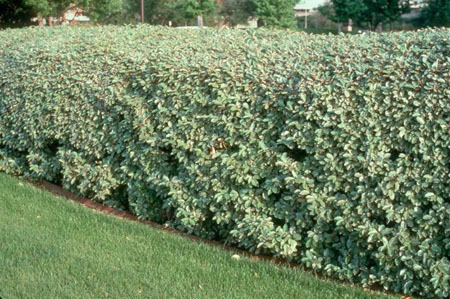 Elaeagnus - oleaster are not your normal hedge picker when you think of buying a new hedge. It is time that they should be thought of some more as they make lovely hedges. Elaeagnus are mainly evergreen with some varities being deciduous. They have simple often scaly foliage which can be green in colour, some varities are green rimmed with yellow and vice a versa. An extra bonus to this hedger is the lovely scents of the blossom. 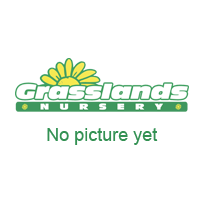 It requires very little pruning as it is mainly grown as a loose hedge rather than a tightly knitted one as its foliage is a larger size. Just prune to shape and cut off any unwanted branches. Elaeagnus realy doesn't like to be planted in shallow chalk soil, other than that it can tolerate pretty much everything else, it is even drought tolerant and is very tough, even likes clay.